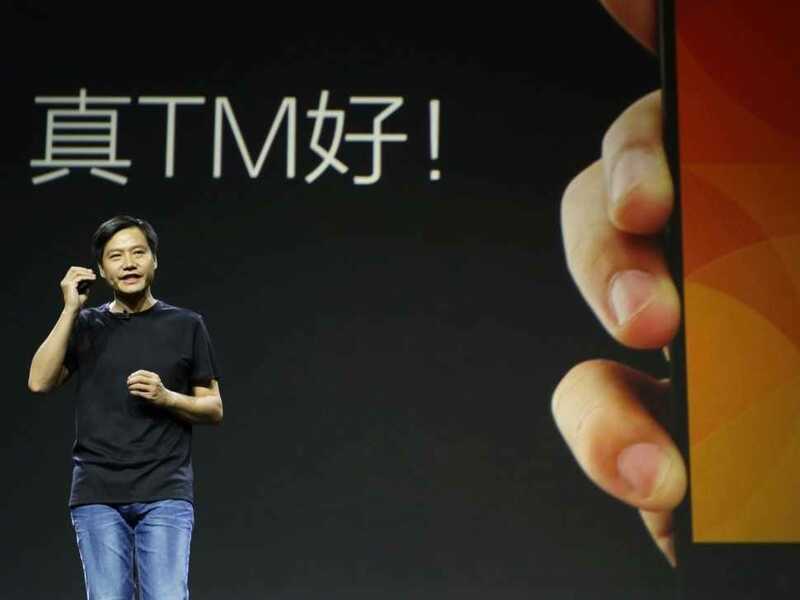 REUTERS/Jason LeeXiaomi CEO Lei Jun introduces the Mi4. Xiaomi CEO and founder Lei Jun irked Apple on Thursday by saying his company could be the number one smartphone maker in the world in 5 to 10 years, reports The Guardian’s Samuel Gibbs. That didn’t sit well with Bruce Sewell, Apple’s head of legal and government affairs, who was at the event. “It is easy to say, it is more difficult to do,” said Sewell. That comment didn’t seem to deter Jun. “In this magic land, we produced not only a company like Alibaba, but a small miracle like Xiaomi,” he said. Jun’s company became the third-largest smartphone maker in October, behind Apple and Samsung, according to Reuters. Xiaomi has its work cut out for itself if it wants to knock Samsung off the number one spot. The company holds just 6% of the global smartphone market compared to Apple’s 12% and Samsung’s 25% market share, according to a Strategy Analytics study. Xiaomi’s phones are often compared to Apple’s iPhone for looking similar. Apple lead designer Jony Ive doesn’t take that characterization lightly, though. “I don’t see it as flattery. I see it as theft,” Ive said at a Vanity Fair event in October.